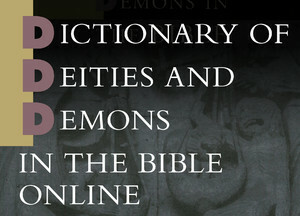 The Dictionary of Deities and Demons in the Bible Online contains academic articles on the named gods, angels, and demons in the books of the Hebrew Bible, Septuagint and Apocrypha, as well as the New Testament and patristic literature. This online version contains the second extensively revised edition. Author(s): E. T. Mullen, Jr.